Did you know that January is National Papercrafting Month? 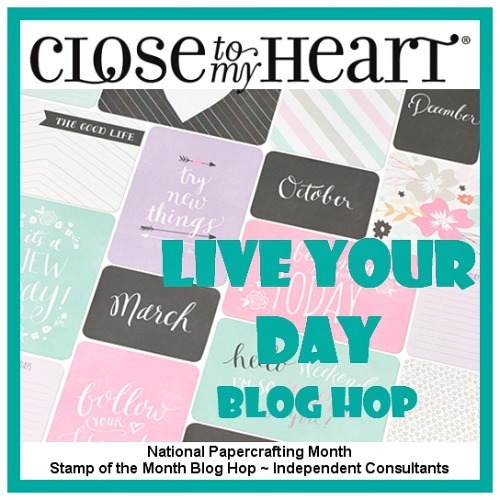 Close To My Heart has an special product that you can get ONLY during the month of January! The Picture My Life - Live Your Day collection was designed to coordinate perfectly with the sensational Everyday Life™ 2016 Planner Pages and My Crush® Everyday Life Pages, so you can seamlessly integrate pocket scrapbooking into your 2016 planner. Whether in the planner or on their own, these cards make it easy to preserve your everyday moments all year long. To give you some great ideas on uses for this fabulous product, the CTMH Stamp of the Month Blog Hoppers have put together a fun hop featuring this product! If you have come from Terrie Shortsleeve's Blog you are on the right track! The hop is a big circle so when you get back to me you will know you have completed the hop! For my project, I combined the Live You Day cards with the Everyday Life My Crush pages to create a Special Days Album that we will be making at my upcoming January Girl's Night Out Event. This album can be used to record special dates - Birthday, Anniversaries and other special events. Never forget a special date again! I used pages from Everyday Life My Crush to create the album cover. I cut the flowers with CTMH's Artistry Cartridge and added the new Treasured Puffies for accents. Inside the album, I placed the each month's 3x4 PML card along with a Birthdays and Journaling card into a Memory Protector. There are two months per protector. For instance, July on the front side and August would be on the back. Then I cut a tab for each month protector page so that it could be found easily. Inter-mixed through out the book are My Crush pages and more memory protectors holding 4x6 PML Live Your Day Cards. 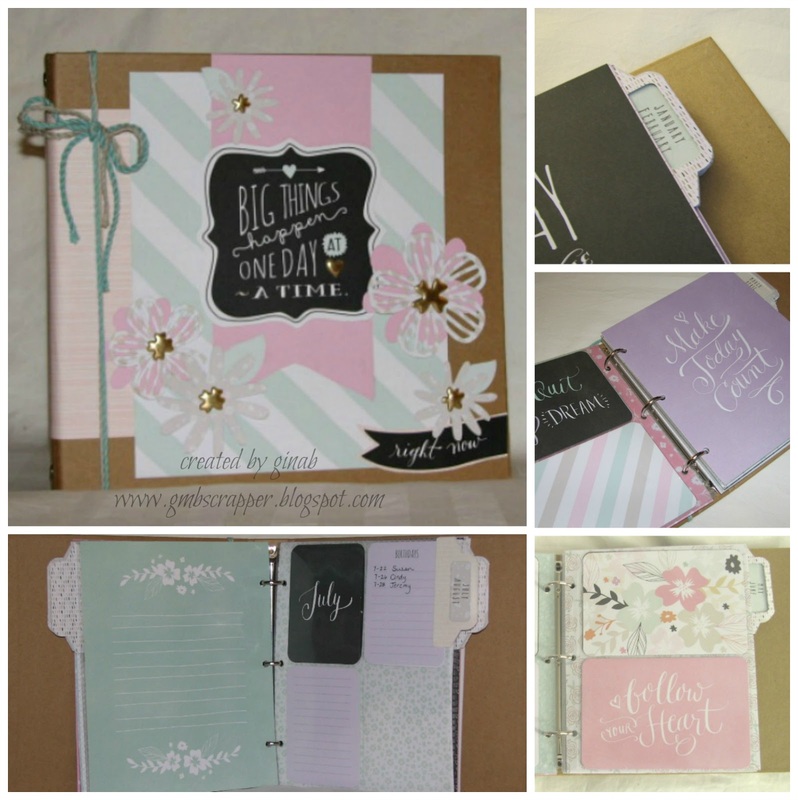 You can add photos, journal about special events, make this book your own Special Day Album! To find out more about my Girls Night Out Event, visit my Upcoming Events tab. Now it is time to hop on over to Michelle Battitori's Blog and see what she has to share! This is a gorgeous album! I love everything about it! So fab to think to use this album for such! The cards work perfectly! Love it!